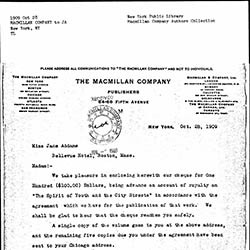 We take pleasure in enclosing herewith our [check] for One Hundred ($100.00) Dollars, being advance on account of royalty on "The Spirit of Youth and the City Streets" in accordance with the agreement which we have for the publication of that work. We shall be glad to hear that the [check] reaches you safely. 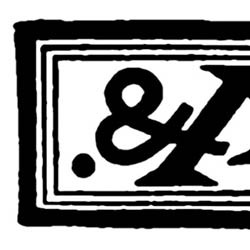 A single copy of the volume goes to you at the above address, and the remaining five copies due you under the agreement have been sent to your Chicago address. 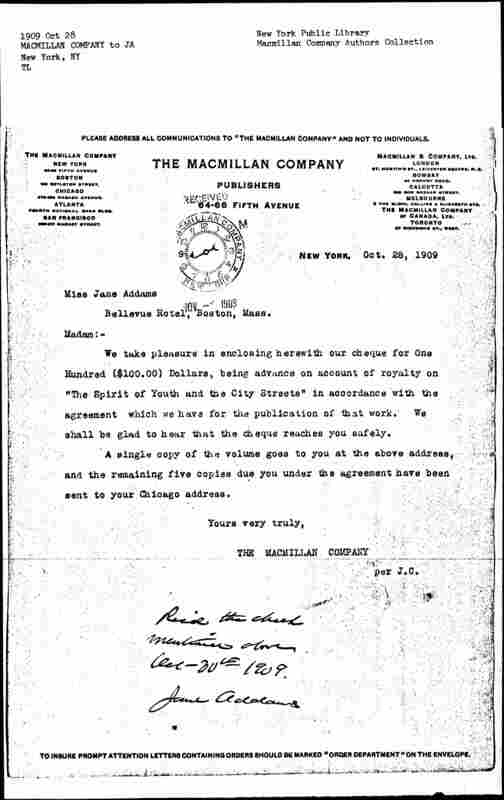 Macmillan Company sends Addams advance royalties for Spirit of Youth and the City Streets. At the bottom of the page Addams wrote: "Rec'd the check mentioned above. 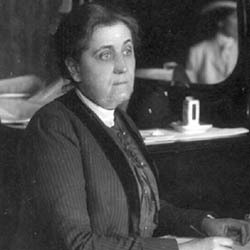 Oct 30th 1909. 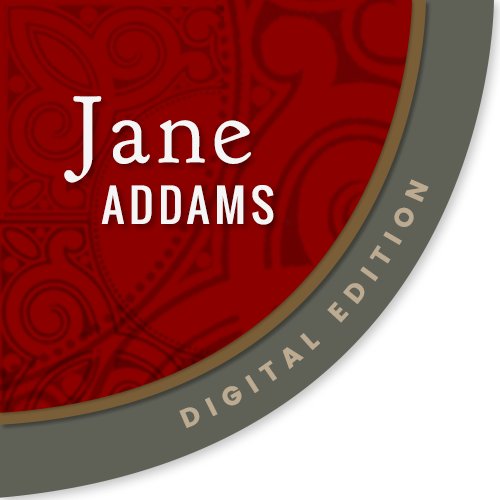 Jane Addams"
Macmillan Company, “Macmillan Company to Jane Addams, October 28, 1909,” Jane Addams Digital Edition, accessed April 22, 2019, https://digital.janeaddams.ramapo.edu/items/show/2932.